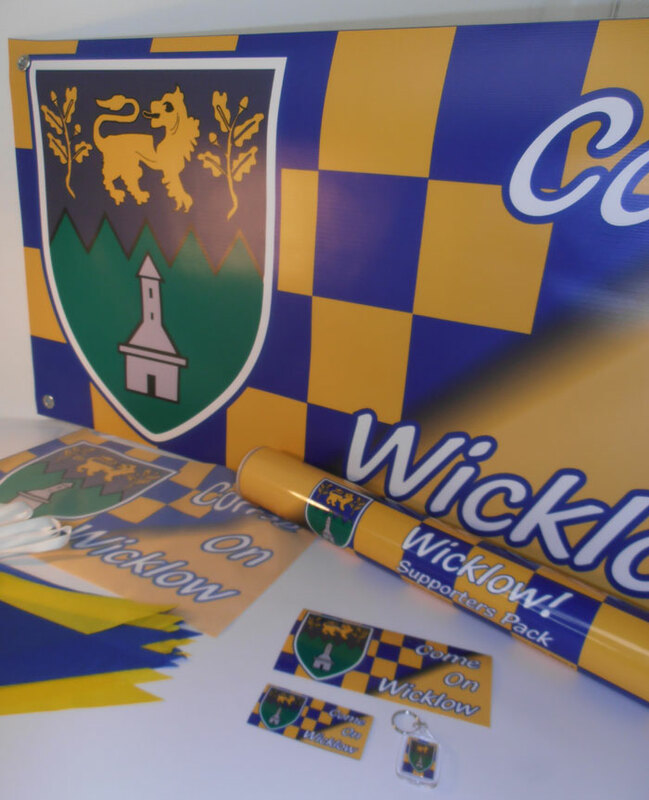 Bee Signs have developed a range of products aimed at the dedicated National, Provincial and County, sports fan. 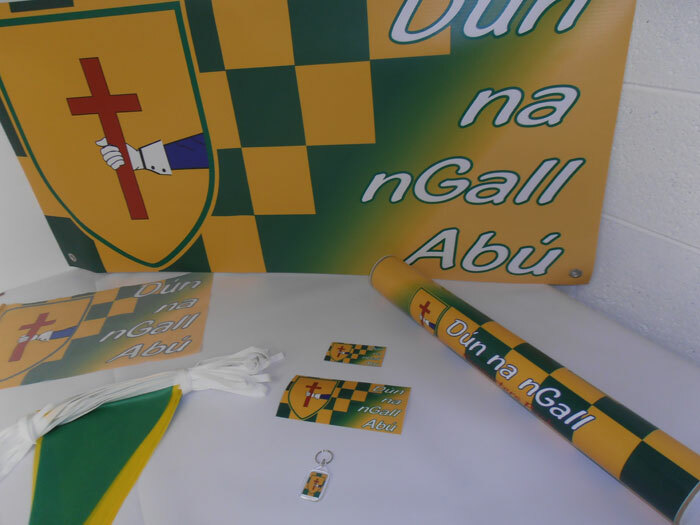 A complete ‘Supporters Pack’ includes, a Banner, a hand held Flag, 10m (30ft) Bunting, a Bumper Sticker, a Magnet and a Key Ring in the colours of the team and all packaged in a 2ft long tube also in these colours. 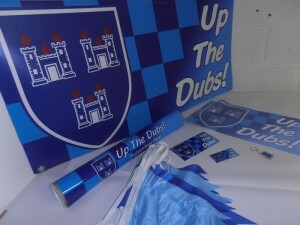 These products are made of top quality materials, are 100% Irish and are Fully Outdoor Durable. Each product is also sold separately. You can buy one or one million! 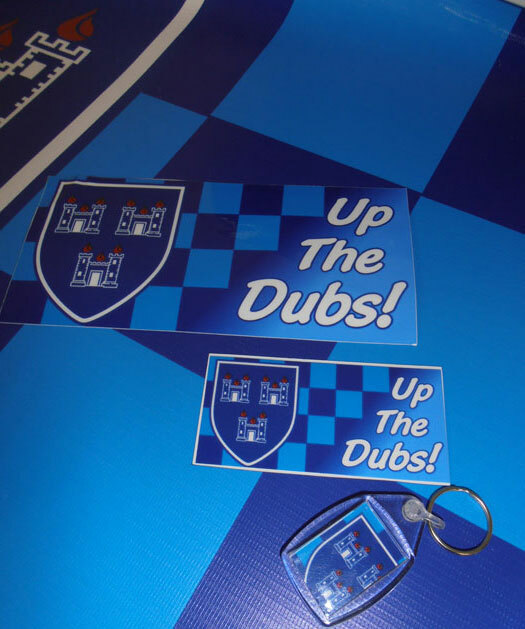 We can design and manufacture, Banners, Flags, Bunting, Bumber Stickers, Magnets and Key Rings, any size, any amount for any team or for your own club. 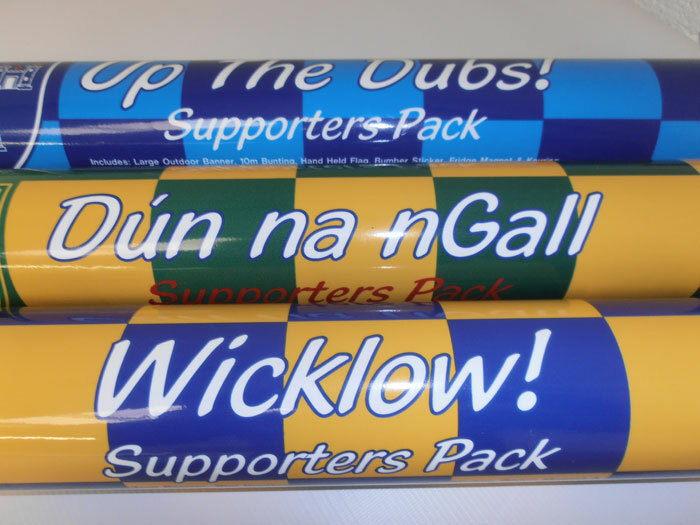 The Banner is 610x1220mm (2ftx4ft), printed PVC Banner and is Fully Outdoor Durable. The Flag is 300x500mm (12″x20″) with 580mm (aprox2ft) pole, printed mesh flag material and is Fully Outdoor Durable. The Bunting is a number of 300mm (1ft) high triangles, on 10m (30ft) long line and is Fully Outdoor Durable. 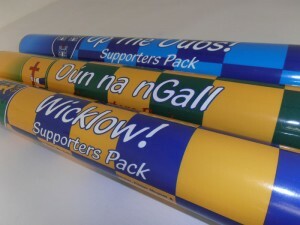 The Bumper Sticker is 100x200mm (4″x8″), printed and laminated 3-7year vinyl and is Fully Outdoor Durable. 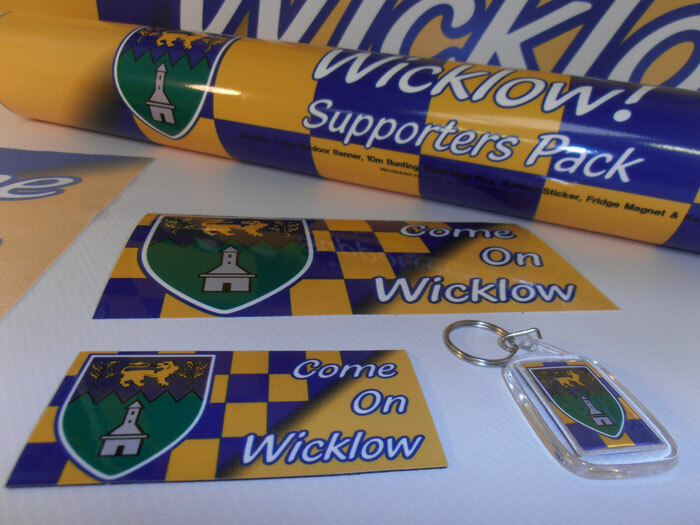 The Magnet is 50x100mm (2″x4″), printed and laminated 3-7year vinyl on Fully Outdoor Durable Magnetic material.